The planned torpedo upgrades are intended to affect 64 current-generation surface and underwater target (SUT) torpedoes and add around 15 years to their operational lifespan. Although India has made some impressive advances in its submarine capabilities in the past decade – including the indigenously-developed-and-built sea-ready INS Arihant SSBN – it has faced some setbacks as well. Earlier this year, the INS Sindhurakshak, one of India’s 10 older Russian Kilo-class diesel-eletric submarines, sank at Mumbai’s naval dockyard after a series of explosions. The controversy from the incident overshadowed the INS Arihant’s launch, as well as that of the indigenously-developed Vikrant-class aircraft carrier. 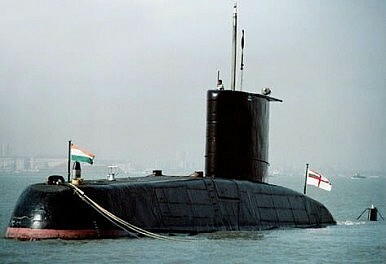 With the sinking of the Sindhurakshak, India’s submarine fleet stands at 12 boats, with only 6 to 8 fit for patrolling. India’s long-stated intention to purchase six Scorpène-class submarines has not yet materialized. Its failure to procure submarines is in line with a general trend in India of bureaucratic mismanagement delaying arms procurement. According to Defense Industry Insider, "A poor Indian procurement approach, and state-run inefficiency, are pushing the country’s overall submarine force toward an aging crisis.” During Prime Minister Manmohan Singh’s visit to Moscow last month, it was reported that he brought up the notion of leasing a second nuclear submarine for the Indian navy. The Indian Navy is on its way to developing a modernized and expanded submarine force in the coming years. These upgrades are a small step in that direction. Russia’s formal leasing to India of an advanced nuclear-powered submarine is another big step for the Indian Navy.